The second guest post from blog reader John Viggars today. A few weeks ago when photographer Tricia Porter graciously let me publish her 1970s ‘South Docks’ collection on here, one of the first comments on Twitter came from regular blog reader John Viggars who immediately said that most magical of all historical story phrases ‘I was there.’ He went on to mention he had some photos of his own from his days sailing in and out of our dying South Docks. Well we had a good look at those and heard some of John’s stories about life in the South Docks in those days a week or so back. 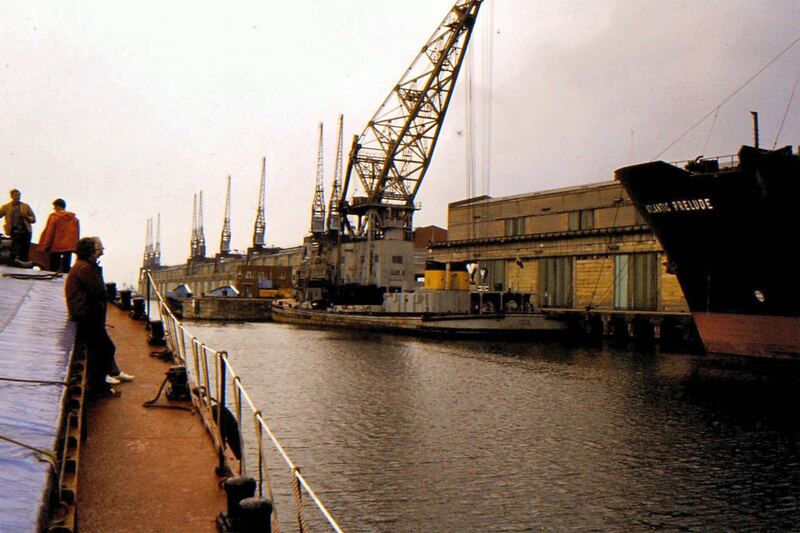 Today, in Part 2, John has some more South Docks memories, but first turns his attentions to the North Docks in the 1980s. Venturing into the North Docks. 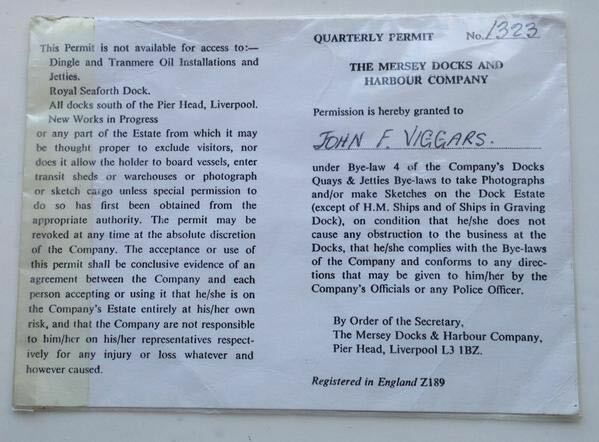 “I can’t remember who told me about the Dock Board photo pass but I’m glad they did as when I found myself without work a couple of times in those tough periods in the early 80’s it gave me somewhere of interest to go. I didn’t always take photos, I just went get some fresh air in my lungs, watching the traffic passing through the locks. Gladstone & Langton were still busy but as you worked your way through the system towards town the vista changed. I remembered how the South Docks had felt a few years before as this area was also on the wind down. 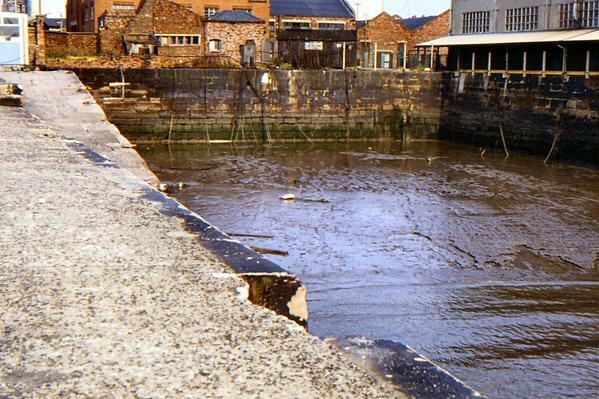 There was still a great deal of timber coming in but it was around this time that the huge piles of scrap metal started appearing on the quaysides. 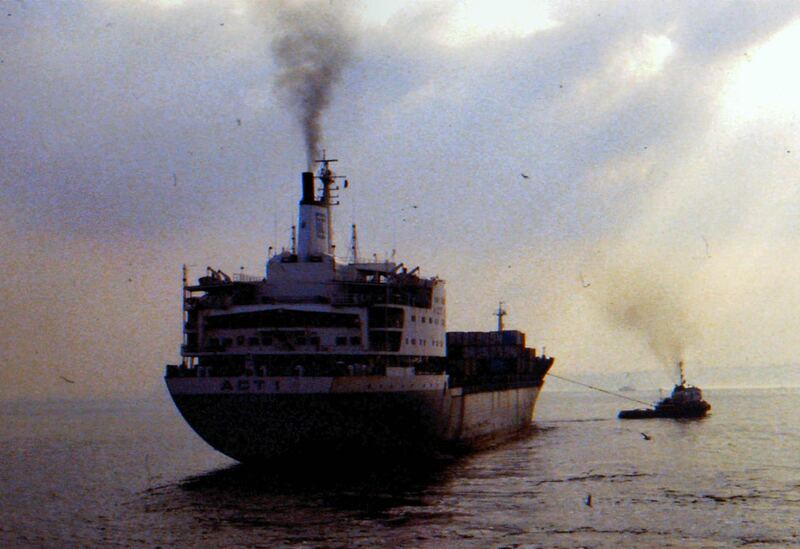 Our scrap going to China fuelling their burgeoning economy. Not very scenic, but a thriving trade nonetheless. 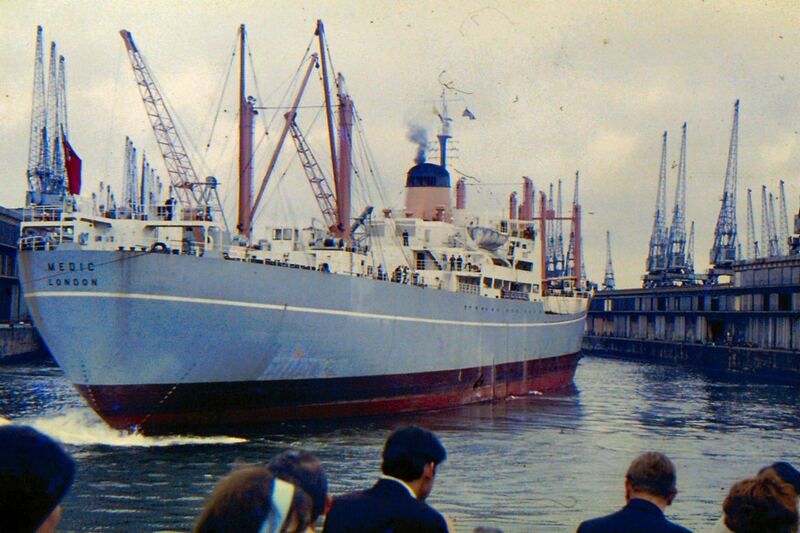 There were always ACL ships in at that time & on one of my visits I remember seeing the Atlantic Conveyor moored up. If I had known what was going to happen to her (sunk in the Falklands War) I would have taken some photographs! There she was on the news a couple of days later, leaving Liverpool to go to Devonport to have her pre-assembled helicopter decks fitted. Soon she was to be hit by two Exocets. 12 of her crew were sadly lost. She later sank whilst under tow, the first sinking of a Merchant Navy vessel after WW2, a big loss to the Cunard line. At water level amongst the big ships everything looks quite different & I was able to experience this first hand. One trip was with the chap in charge of the Gig boats, Les Pike. 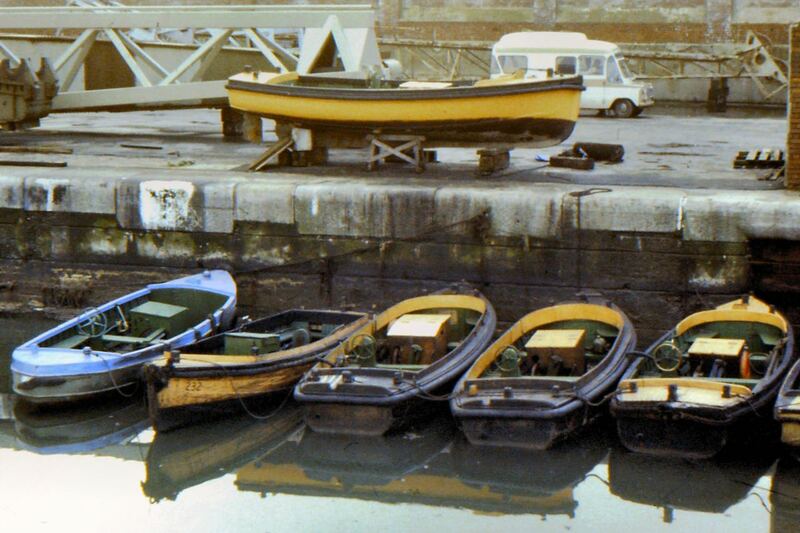 The Gig boats were used around the dock system to ferry people about but their primary function was to take ropes from manoeuvring ships to the quaysides. 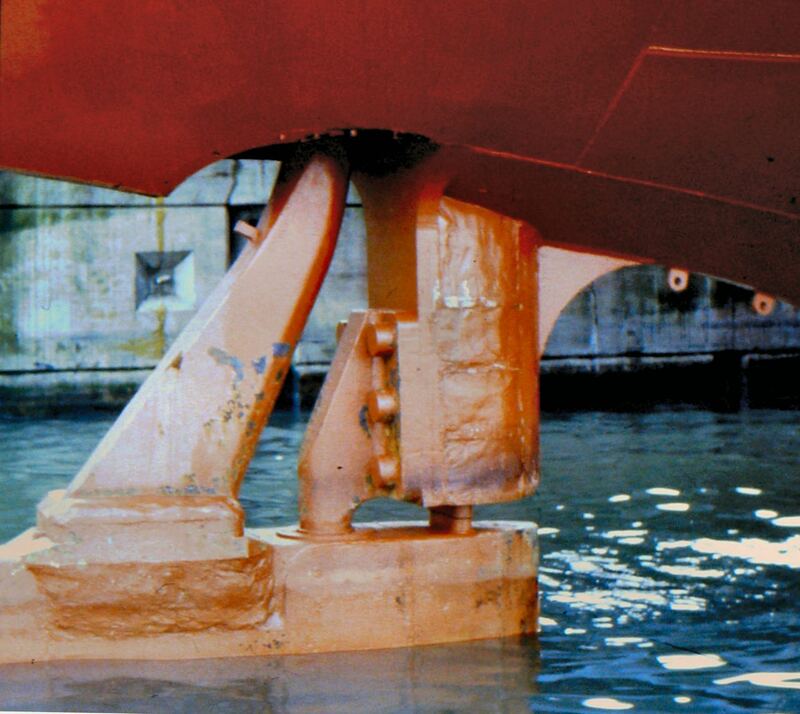 It’s very difficult to turn around a big vessel in a tight space when you can’t use a tug. 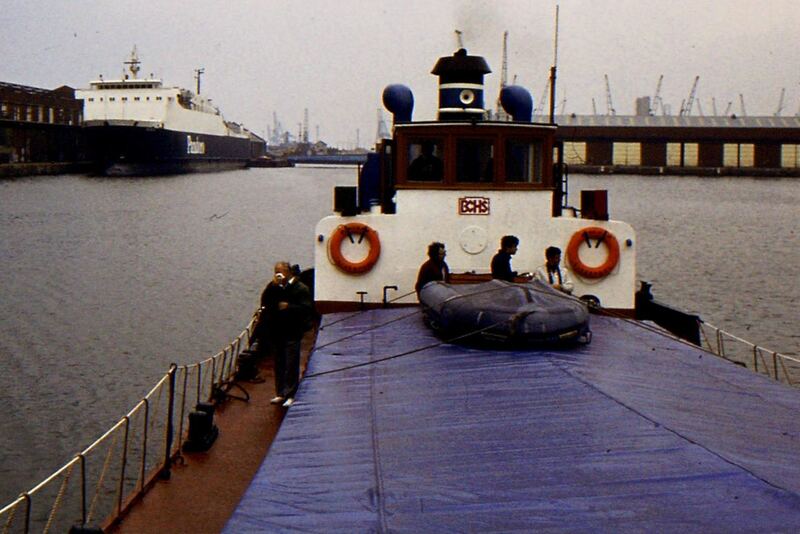 A second trip a couple of years later was on the Maritime Museums’ Weaver Packet, Wincham when she moved from Princes Dock right through to the north of the system, sailing on to Ellesmere Port for one of the Inland Waterway festivals. 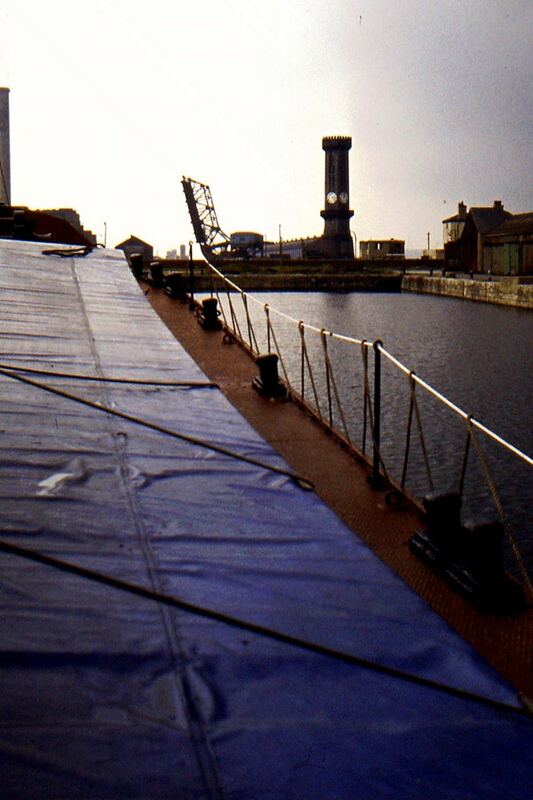 When leaving the South Docks via Brunswick lock in the 70’s it was a strange thing to be looking up so far from a small boat, but leaving through Gladstone locks was even more awesome as they had been built nearly one hundred years later to accommodate much bigger ships. These were opportunities to see the dock system from a different perspective, a privilege few get the opportunity to savour. 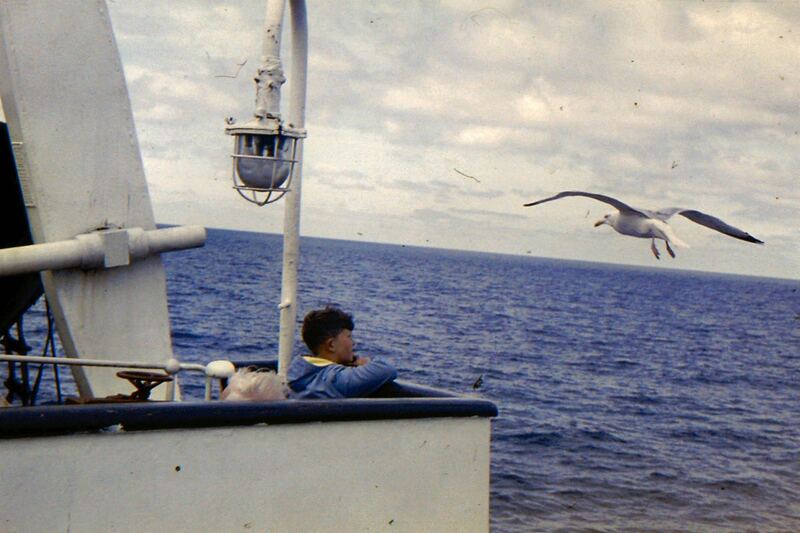 The last trip I recall was a visit with one of my friends from the boat maintenance team, Phil Waring. He was a seagoing engineer with, I think, Ocean Fleets. A few of us got an intimate view of the inner workings of a general cargo vessel, the MV Maron. We saw not only the bridge but cargo hold, engine room, things such as the ballasting controls in operation as she loaded. Just push a button & you could feel the boat slowly change its attitude. I was amazed to find that the ships then not only carried spare propellers but propeller shafts along with pistons & suchlike. They were able in theory to perform most tasks whilst at sea but it was extremely boring for them when nothing went wrong. One of the other engineers I met at the museum told me how they used to use the engine room walls to climb & abseil to relieve the tedium! 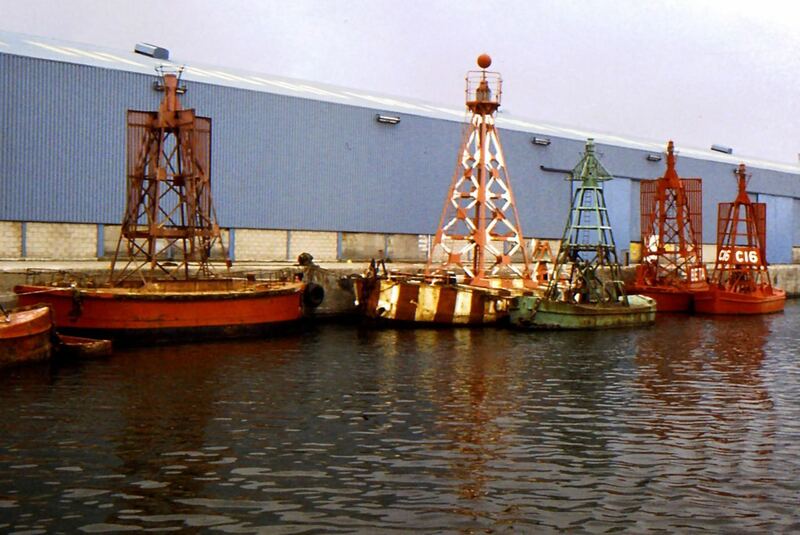 These were enjoyable episodes in my life but all good things must come to an end, in the late 80’s my links with the docks were broken, revisiting was no longer possible. Returning to the South Docks, February 2015. I have walked most of the accessible riverside from Widnes to Princes dock in a disjointed fashion over the last few years but had missed out the Brunswick to Kings section for some reason. As a result of Ronnie’s request to write all of this I walked from Toxteth Dock to the Pier Head a few weeks back. 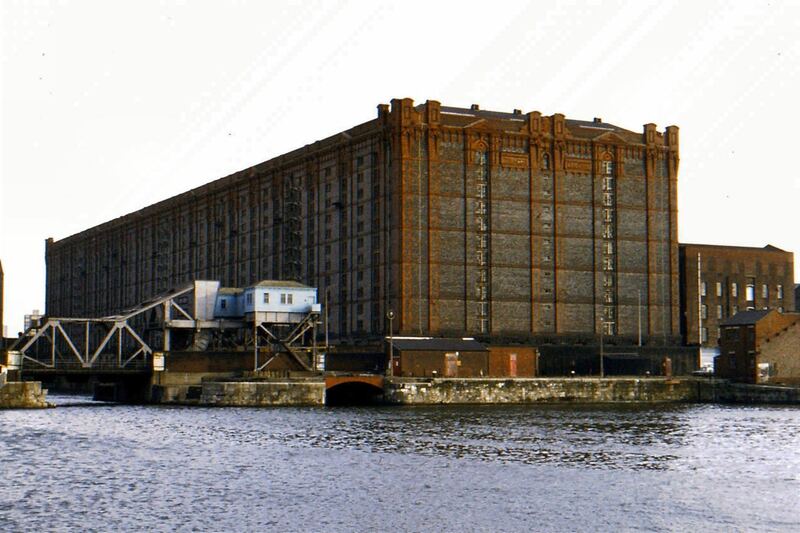 It’s so different now, many of the old dock buildings have gone to be replaced by new structures or reused for new purposes. 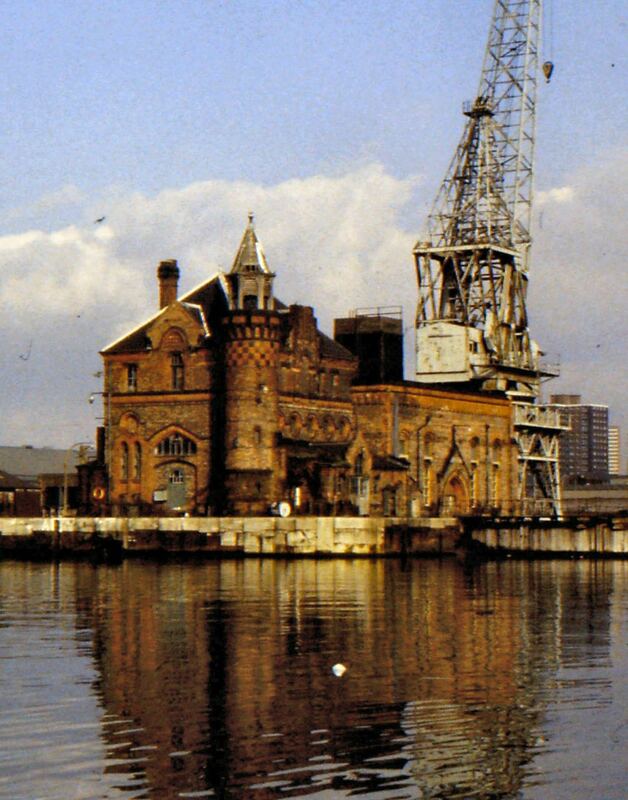 Gone is the dereliction & detritus of the docklands former life. The faces of my friends have gone too. You can look back but you cannot recreate the past. I’m happy to see the docks more full of boats than they probably were in their heyday but things have moved a bit up market for me. The housing has been there a good few years bringing people back to this part of the waterfront. New structures continue to fill the redundant spaces including the new Exhibition Centre nearing completion, it’s good to see the docks continuing their renaissance. 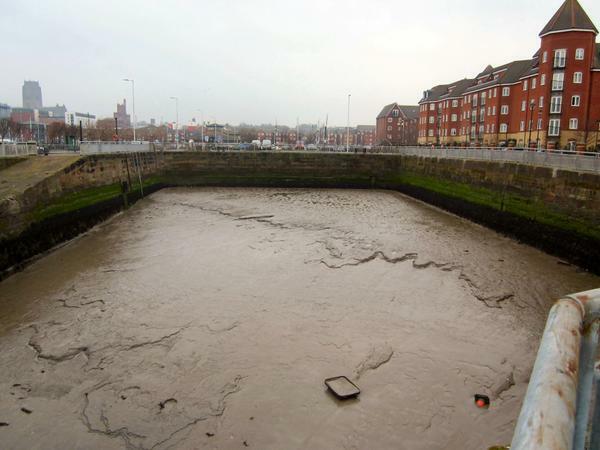 The next step will be to move up a gear & for Peel’s Liverpool Waters to finally take a grip on the area to the north of the Pier Head as redevelopment there is now well overdue. 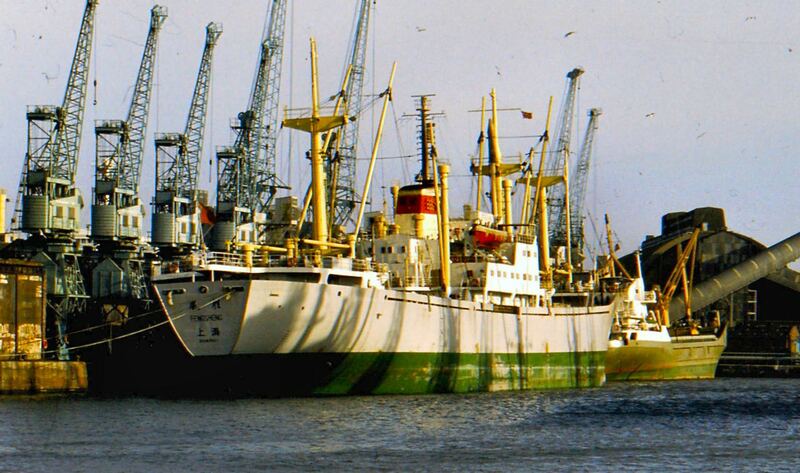 One of the characters was Roy who often left his Transit parked on the dockside whilst he sailed off to Ireland. On arriving at the dock gates one evening our entrance was barred by police who said there was a vehicle parked up with suspicious content . I don’t think mentioning Ireland helped as the Army bomb disposal squad who had arrived before us with a tracked robot, equipped amongst other things with a rifle. There was the sound of gunfire & a small explosion as it proceeded to ‘open’ the doors. The suspicious package turned out to be a suitcase filled with his dirty washing. The van by then looked like the Esso bullet hole stickers you could get except that they were real. The police would come & check up on us every so often. I also seemed to attract the attention of the constabulary driving my Morris Minor 1000 van back along the deserted dock road late at nights. (Always careful not to be over the limit you see) One copper stopped me a few times to search the van. The last time I encountered him I suggested he didn’t want to look in the back but he opened the door anyway. He seemed quite uncomfortable when my bilge pump landed on his foot. Although in some pain he saw the funny side & waived me on my way. Our group would drink in the Coburg but it would empty at twenty past ten at the weekends as the landlord Arthur was strict (some would have said miserable) with his drinking up time. The Cally around the corner would suddenly fill up around this time & by ten forty-five the doors would be locked. Sometimes in the early hours (I’m told) there would be a knock on the door. The boys in blue would check that all was well (have a half?) & move on. The landlady Dolly was always welcoming, on a Sunday now & then she would lay on free pop & sarnies for the older guys kids. I miss that place now, a real Dock Road boozer. 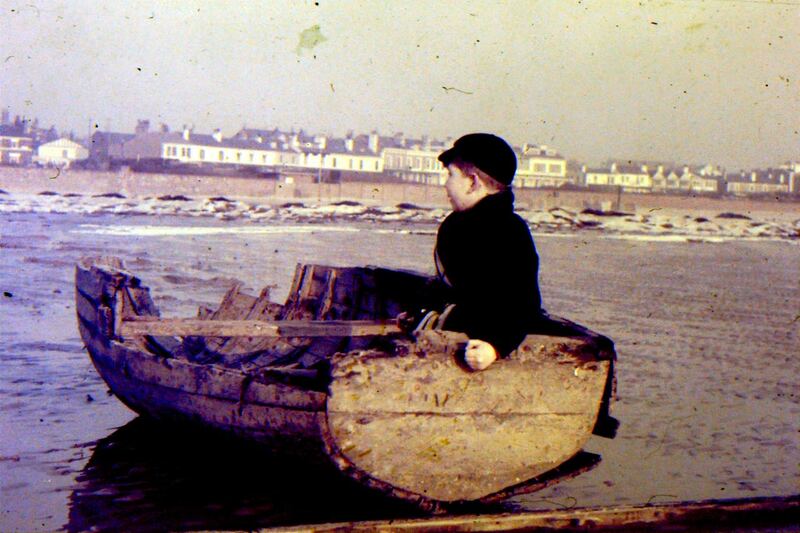 Young John in his first boat. 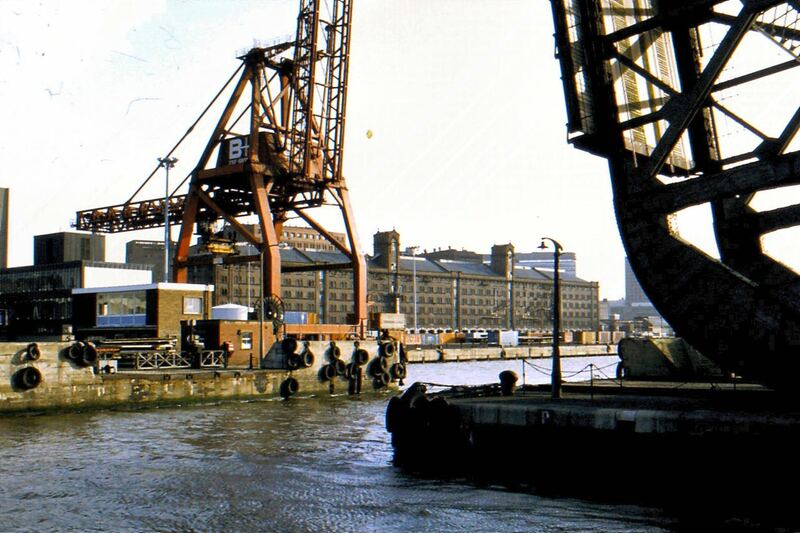 At Waterloo in 1961. Thank you for these fantastic stories and photographs John. Publishing them all on here has been a pleasure and a privilege. 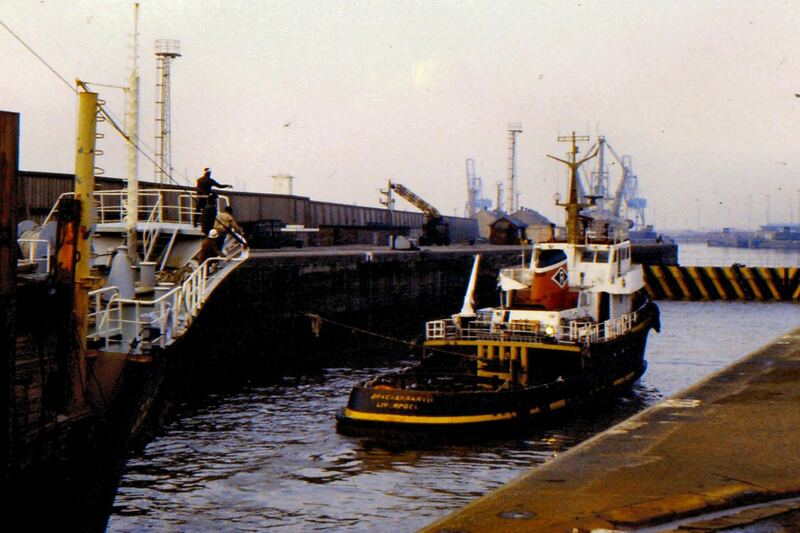 For a full list of the Liverpool Mersey Docks and Harbour docks and some historical context see John’s first post ‘My time on the Docks, Part 1’. 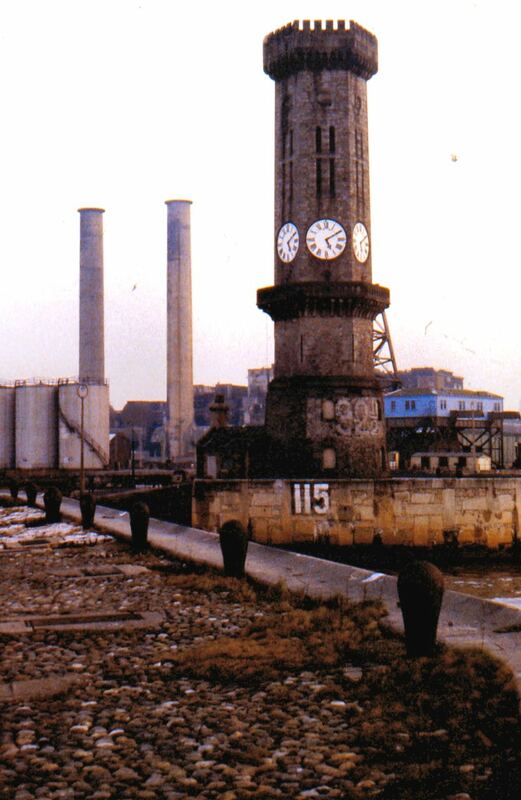 And the complete collection of Liverpool Docks posts here. Was the Connacht a sister ship or maybe the successor to the Munster featured in this short film? This was a smashing read. 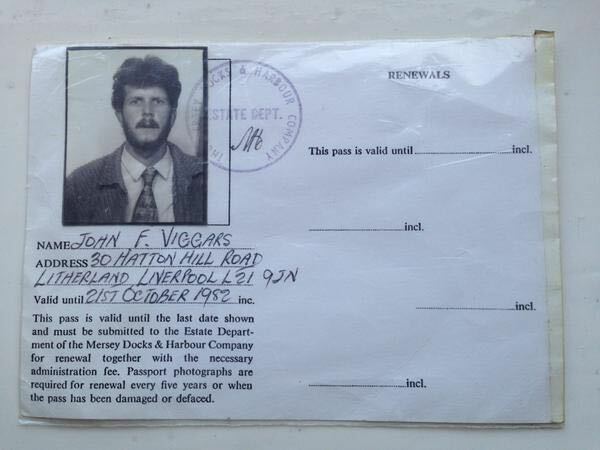 I’ve known John Viggars for some years, but never had an inkling of his interest in the subject! 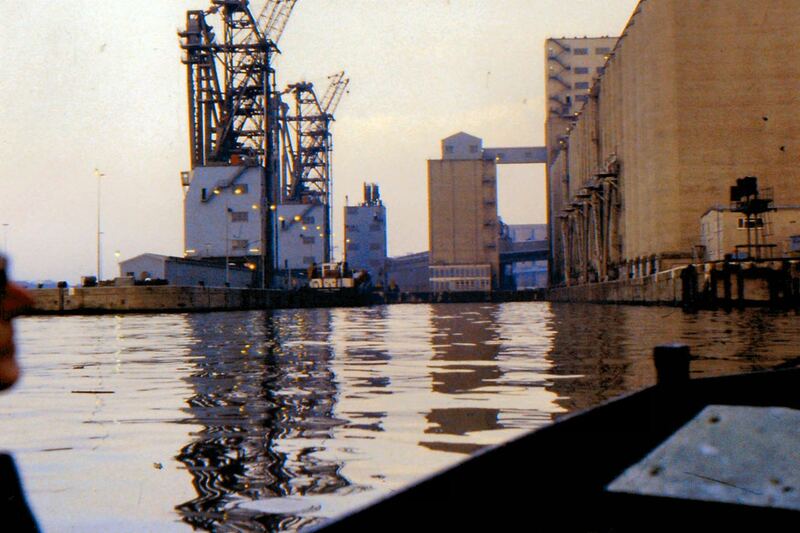 My dad, Billy Brown (deceased), was a gig-boatman for Johnson’s from about 1936 until his retirement in about 1973. We lived in Northfields Road, Bootle. 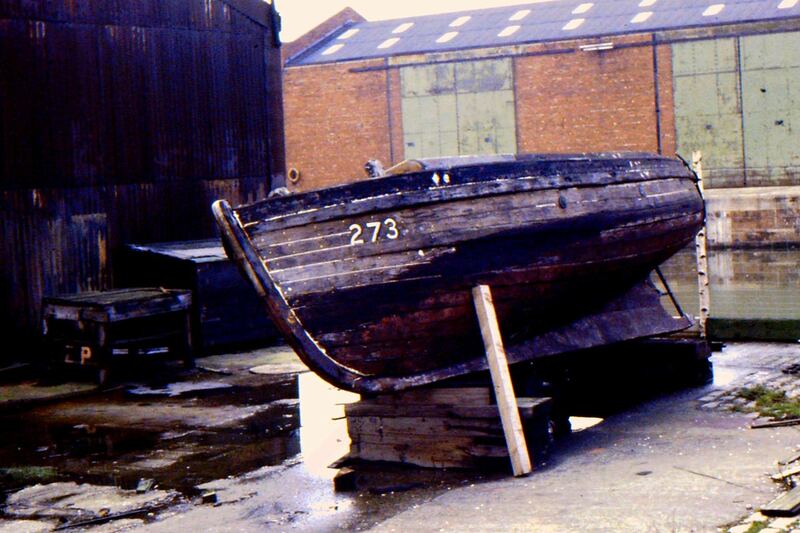 One of the gig-boats he worked was the Elizabeth, now occasionally on display in the Maritime Museum. 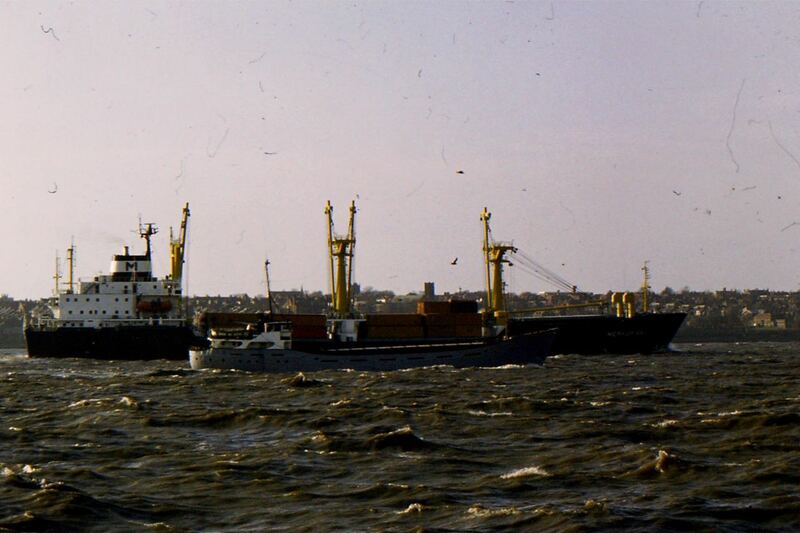 Prior to that he had been a bosun on the Elder Dempster Line (his last voyage was on the MV Accra in 1936). I remember two of his colleagues from his gig-boat days, Ted Prendergast (spelling?) and Ken Jones. I’m researching my family history at the moment and would be very grateful for contact by surviving colleagues or their descendants. Speak soon John! To Geoff Brown: I think a discussion over a pint or two is well overdue? Is #273 (in the picture) your dads boat? I’m pretty sure that when I took the pictures Les Pike was preparing this particular Gig for the museum? I donated the Thorneycroft ‘Handy Billy’ engine for the exhibit (I’d removed it from my boat to replace with a diesel) and fondly remember the small part I was able to play in it’s original exhibiting in the Boat Hall. I don’t remember Elizabeth’s number, but I believe all Johnson’s boats had girls names and I remember that one. I think there were about 10 of them. 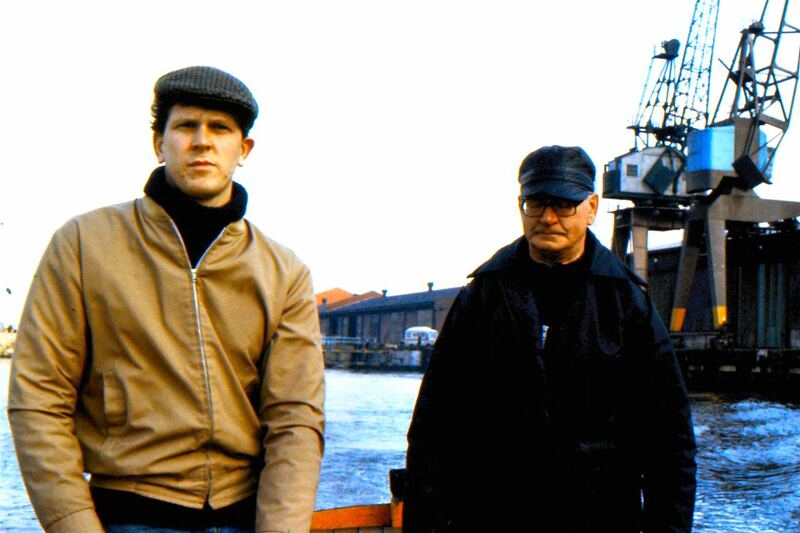 He used to take me to work when I was about five years old, if he was just moving a boat from dock to dock. 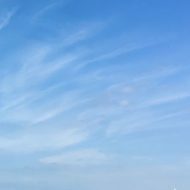 I used to hold on round his neck while he climbed down to his boat on the straight iron ladders on the dock wall, or walking up the stone steps without handrails in the corners of some of the docks. 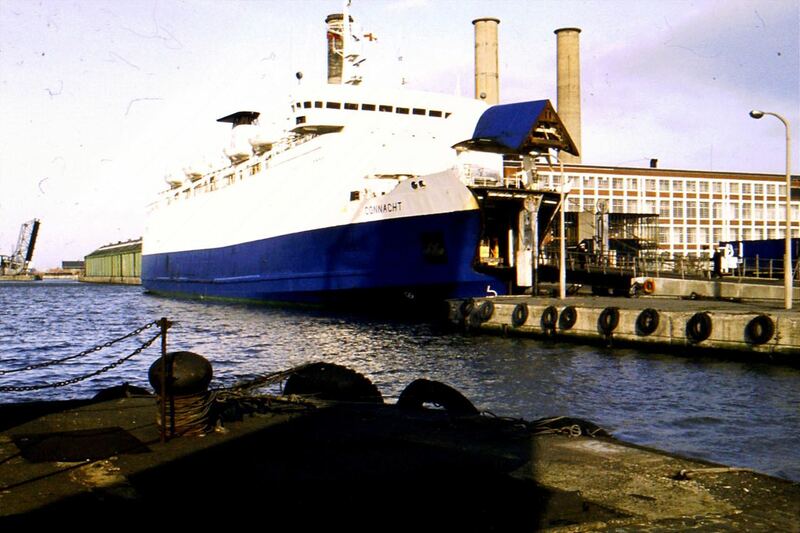 I remember going across the river just once and passing between the Pier Head landing stage and the quay (under the walkways) and tying up there. How times have changed! I know that Health and Safety regs are necessary these days, but I wouldn’t have missed those experiences for the world. Pint to be arranged, John! Hello Geoff Brown! I am descended from Johnson family gig boatmen. My great grandfather George Johnson, his son Jack, & father John before him. The Fields family were also a part of the operation. Would love to hear some stories if you are so inclined, & so would my dad. Hi Lisa, That’s fantastic! It was all so long ago I was beginning to think there was no-one left who’d heard of the company. It would be great to reminisce with someone with connections to the company. Do you have any photos? I’m working in the Midlands all week but home in Liverpool at the weekend. Are you local? Hello again Lisa. I hope you and yours had a good Christmas. Time passes, doesn’t it. Do you and your dad still want a chat about Johnson’s? If so, you can e-mail me direct at geoff5956@live.com or phone 07796 125514 virtually any time. I’m semi retired, so I’ve got the time and transport. I live over West Derby way and I’d hate to miss the chance. I am currently visiting family in Liverpool & going over sime family genealogy. I was searching gig boats and came upon this old discussion thread. Hi Lisa, I just got the post today where you say you’re visiting family in Liverpool and are looking a bit more into your gig-boat history. There was no date on it, but I hope I’m not too late to respond. I’d be happy to meet and chat if you’re still about and it fits in with your itinerary. I live out West Derby way and can easily get into the city centre if it suits you.